Tata invests in Tesla-rival, Faraday Future! Chinese media reports state that Tata Motors has invested nearly 5,800 crore rupees or about 900 million USD in Faraday Future, an electric car maker that rivals Tesla. 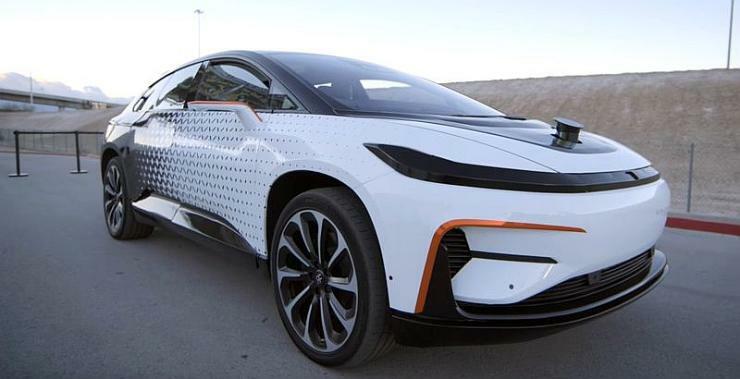 Faraday Future is building an electric car called FF91, which packs in a whopping 1,050 Bhp, and said to be much faster than even the Tesla Model S.
The FF91’s claimed 0-100 Kph number is a stunning 2.5 seconds. The electric car maker is said to have already received 64,000 orders for the FF91, a car that will use the company’s patented Echelon Inverter – a device that’s designed to store more electric energy in a smaller space. Faraday Future and Tata Motors haven’t offered comment on this matter even when contacted. A denial from either company is yet to be issued. The American electric car maker – backed by Chinese entrepreneur Jia Yueting – is said to be experiencing financial difficulties. Tata Motors’ 10 % stake in the company could give it a lifeline of sorts, pushing its valuation to about 9 billion dollars. Tata in turn, could benefit from the various path-breaking innovations that Faraday Future is said to have developed. In India, Tata Motors has just secured an order to supply over 6,500 electric cars to the Indian government owned EESL (Energy Efficiency Services Limited). The first batch of Tigor Electric compact sedans will be supplied to EESL by the end of November 2017, with the rest of the cars to be supplied through next year. Tata also revealed the Tiago Electric in the UK a few weeks ago, and has been testing the Nano Electric – a car that’s likely to be launched in India next year. The Indian government has set an ambitious target of phasing out petrol and diesel powered vehicles by 2030, and replacing them with electric vehicles. Tata’s stake in Faraday Future could just be the push that the Indian automaker needs to leapfrog competition while embracing an electric future.